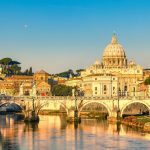 Italy is known for its grand beauty, mix of Mediterranean and Alpine atmosphere and one of the most amazing cuisines in the world, but that is not the only thing that attracts enormous number of tourists each year. This country is also special for its large number of stunning lakes which are being admired since the Roman Empire. We listed our favorite ones in order to show you why visiting an Italian lake could be the best decision ever made! Lugano has its own small airport Lugano-Agno with flights from Zurich and Geneva, from there you can take a shuttle bus to the centre of town. 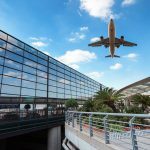 The most common option is arriving at Malpensa Airport (Milan), from there you can take a direct shuttle bus to Lugano. If you’re arriving with a bus, check out the bus routes to/from Lugano. Just a couple of hours from Milan lies probably one of the most famous lakes on Earth, lake Como. This stunning and mystic lake is definitely something to see, and be seen, ‘cause it looks like it’s always been a target of rich and famous. So, if you want to catch that George Clooney already, you might find him here. What mostly brings to this royal look of the area is a great number of stunning villas, most of them built in Neo-Classical style with glamorous gardens and the most famous one is Villa Carlotta, for sure. 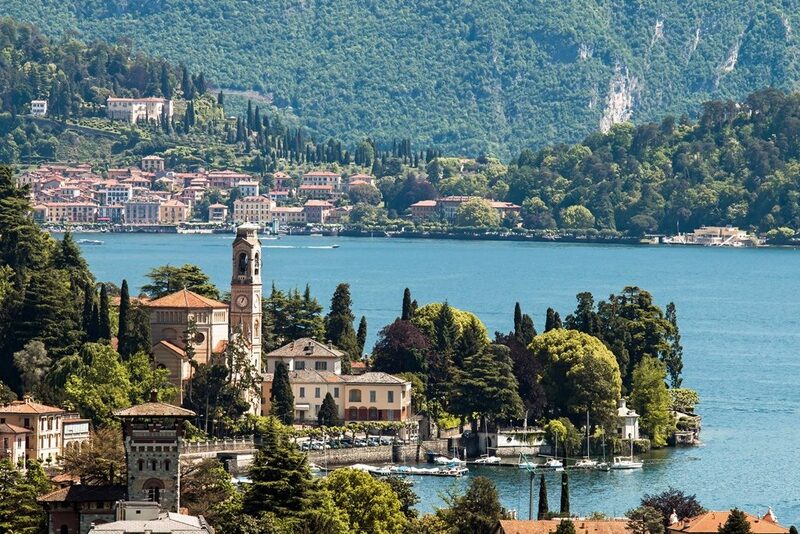 Lake Como is surrounded by some very pretty towns and villages of which we highlight the lovely Bellagio with scenic shore and small boats framed with cypress groves and beautiful flowers, and rustic village of Varenna which is often said to be the ‘most photogenic place’. In the end, Como is not just about luxury and splendid landscape, it also offers great variety of water sports, from swimming and hiking to paddling and kite surfing. 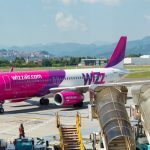 The easiest way to get to Como is from the airports in Milan and Bergamo. There are also regular trains from Milan and Bergamo. If you’re arriving with a bus, check out the bus routes to/from Como. Another lake situated on border with Switzerland is known for its size which is clear from its name (it. maggiore – large). Although situated on the very North of the country, it has a Mediterranean climate which causes flora to bloom, which is why many will refer to it as the ‘Eden of Italy’. 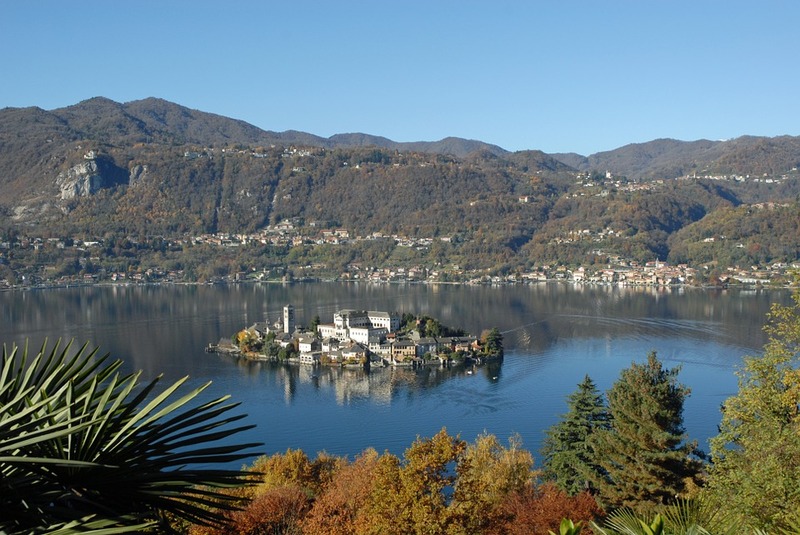 This can be best experienced on Borromean islands, three small islands together with two islets, covered in rich gardens of which the most impressive might be Isola Bella. The lake was once a destination of noble families, today is an ideal option for a peaceful vacation. 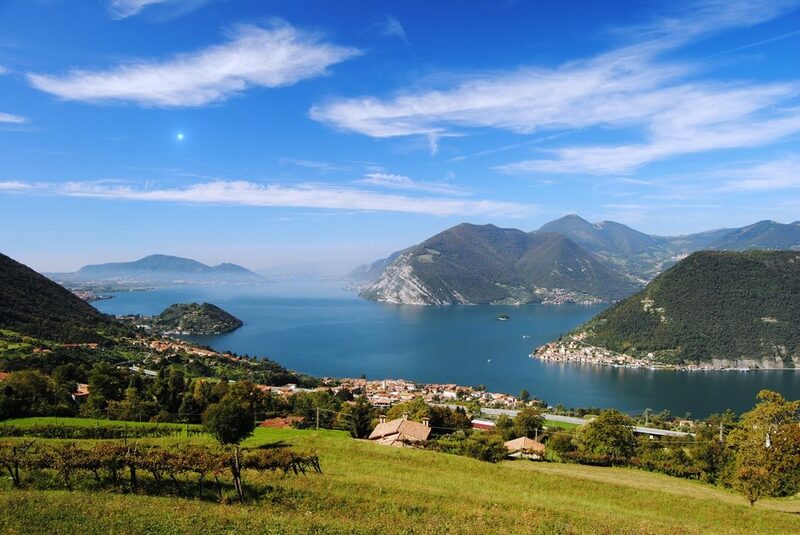 Go up in the silent mountains with Mottarone cable car, ride a bike on some of the many cycling routes and experience the calm cruise across the lake. For the ultimate tranquility visit villages Cannero and Cannobio. 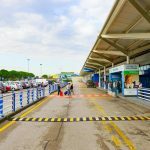 Most common way is to arrive at Malpensa airport, from there you can easily reach the lake by bus or train. Lake Garda is the largest lake in Italy, situated halfway between Venice and Milan, meaning it can be a great option for a day trip from both cities. This lake can be a perfect destination for anyone, from romantic couples to friends and families with small children or seniors. The amount of water sports here is exciting, as you arrive, you will see a lot of bikers, windsurfers or simply nature lovers roaming the mountains, villages and the shore of the lake. 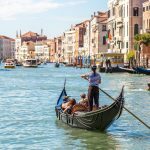 There are several quite interesting towns around the lake which we recommend to visit, most of them are connected with a ferry line – do not miss fortified Sirmione and Castello Scaligeri, Roman ruins in Grotte di Catullo and charming Desenzano del Garda. There are also a few islands on the lake which can be visited, definitely try not to miss Isola del Garda. If you’re arriving with small children, maybe the highlight of your visit to lake Garda will be – Gardaland! Yes, one of the best-known fun parks in Europe is situated on the southeastern part of the lake. Bring your good mood and have fun. The position of lake Garda lets you easily access from various airports such as Verona, Bergamo, Linate, Malpensa and Venice. 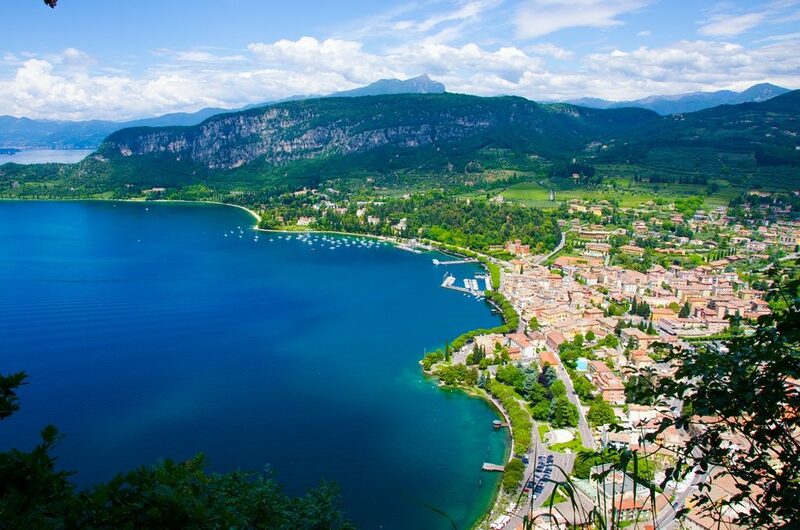 If arriving by train, the nearest stations to the lake are Desenzano, Peschiera del Garda and Rovereto. 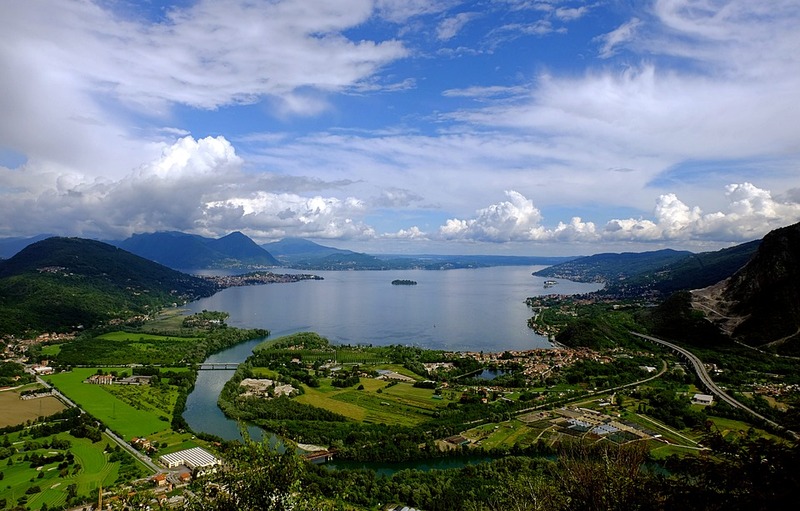 If you haven’t heard of lake Orta until now, nothing unusual, since even most of the Italians don’t know about it yet. Situated around an hour from Milan, this hidden jewel is still kind of a secret, often described as ‘silent’ and ‘mysterious’, which is exactly its greatest advantage. 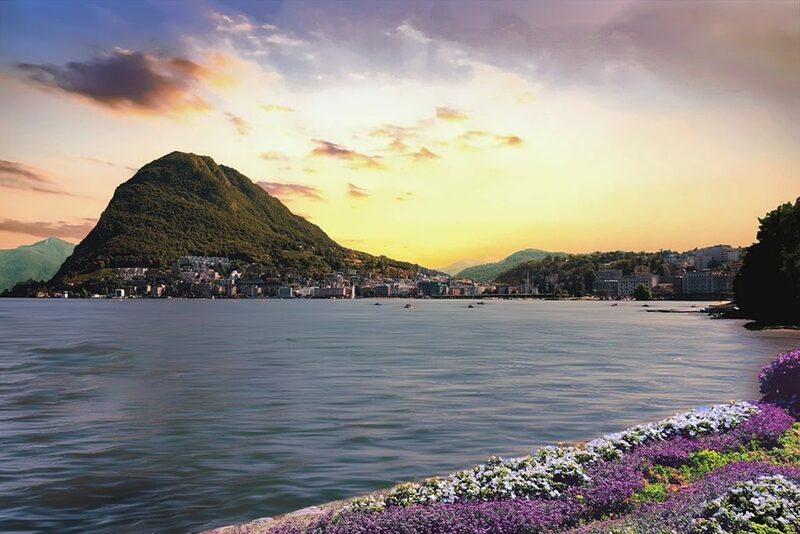 The crowds are rare here, and the entire lake with its sleepy medieval towns and fortresses, charming villages, colorful piazza and stunning San Giulio island in the middle of the lake brings peace and serenity. The island can be visited with a boat and it can be walked over in 40 minutes. Besides that, some of the sights you should explore are the Holy Mountain (UNESCO), Buccione Tower, Church of the Assumption and Town Hall. If you’re up for some activity, trekking and hiking in the nearby mountains are popular things to do, and the views awaiting for you at the top are simply mesmerizing. 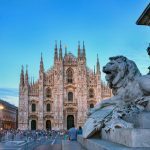 The closest airports are in Milan, but in this case you will have to get to the central bus and train stations in Milan to get to the lake by train or bus. Generally, the best option is to get to Milan first. Lake Iseo is another quite hidden gem in northern Italy, a destination with less tourists than other larger lakes. The area is gorgeous and covered in forest and many vineyards. Hiking and cycling is very popular since it gives you an opportunity to see incredibly beautiful scenery along the way. Nature lovers can also go to Torbiere del Sebino, a protected area with many endangered species which can be explored from hiking trails. To enjoy the romantic walks, stroll the Lovere promenade, but the most important experience is to take a boat to Montisola, the largest lake island where no cars are allowed and to which interesting myths and legends are attached. The highlight of Montisola is the ride on a mule to get to the chapel. On lake Iseo use the opportunity to try the fresh lake fish with Italian products such as olive oil, a true Italian experience. Bergamo, Milan and Verona are the closest regarding the airports, but the only option from these would be taxi. 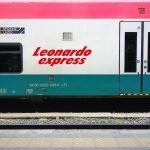 If arriving by train, most long-distance trains stop in cities such as Verona, Brescia and Milan. From there you can continue by train to Iseo. 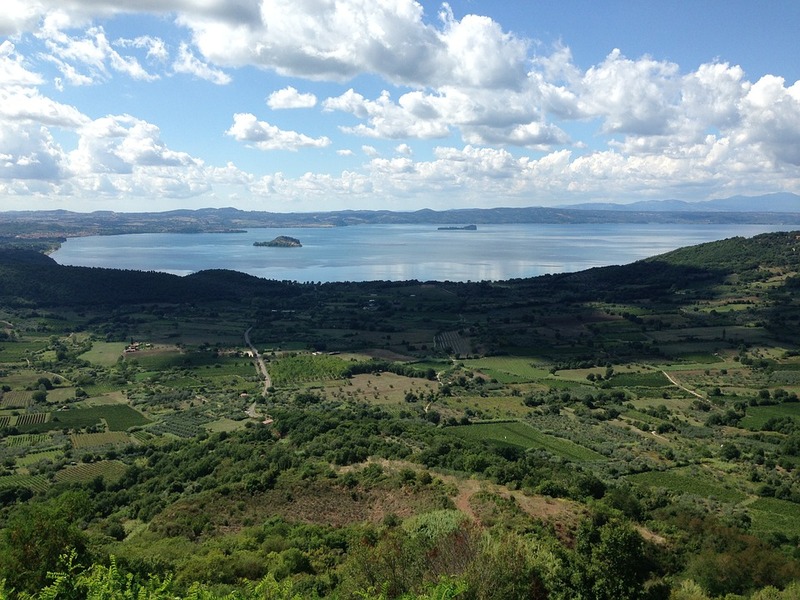 Lake Bolsena is situated in central Italy, sometimes even referred to as ‘’Italy’s belly button’’. It is the largest volcanic lake in the entire Europe and its location gives you a chance to visit many small towns in Tuscany, Lazio and Umbria, even Rome is less than two hours away. There are several picturesque islands in the lake of which the largest one is Bisentia with beautiful churches and Etruscan ruins. Beauty can be also found in the main town of the lake, town Bolsena, once a famous Etruscan settlement, now famous for its stunning gardens and flower festivals. Still, the best way to see the lake and the surrounding nature is from the boat, of course, and sailing is a popular activity here. While on the lake you will probably notice how the water is perfectly clear, which is no wonder since the lake is also called ‘Lago che si beve’ meaning ‘the lake which you can drink (but don’t do that). Besides that, fishing is another outdoor activity common on this lake, so how about some fresh fish for the dinner? 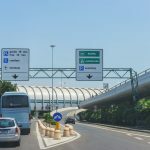 Rome Fiumicino and Ciampino are the closest airports. From Fiumicino you can take a train to Orte, the closest you can get. Still, the closest train station to the lake is Montefiascone, but the line from Rome is not that frequent. Maybe the best option would be to take a taxi or a transfer.